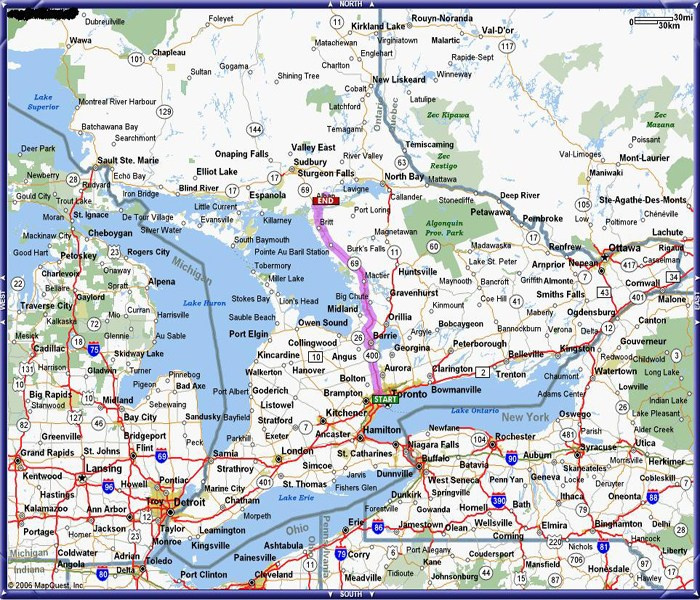 Directions from Toronto to Green Bay Lodge, Noelville, ON. – HWY 400 becomes HWY #69 at Parry Sound. Continue North for approximately 1 hour. – Turn Right at HWY #64 and go 14kms. – Turn Right on Green Bay Road and follow the signs.